Diane Setterfield’s massively popular first novel, The Thirteenth Tale, hearkens back to the great British Victorian and Gothic novels of the 19th century with a near-perfect re-creation of the form. But for all its form-fitting evocations of past glories, The Thirteenth Tale packs its own substantial wallop as a stirring and spooky tale, a marvelous 20th century meta-ghost story rendered in 19th century style that feels classic and moderately modern at once, encumbered by neither a pedant’s rectitude nor a satirist’s ironic distance. The pervasive presence of stories lived, told, and retold run through all of Setterfield’s novels to date, including her suspenseful second novel, Bellman & Black, which evokes Edgar Allen Poe, Charles Dickens, and Robertson Davies in near equal measure. And it all but floods the pages of her newest work, the utterly enthralling Once Upon a River. At times as sharp an indictment of Victorian society’s systemic disregard for women as Thomas Hardy’s The Mayor of Casterbridge, Once Upon a River mostly recalls Casterbridge with an opening scene nearly as stark and indelible as Hardy’s. Once Upon a River begins on a December night in 1887 at the Swan, an ancient Thames-side Oxfordshire pub known for its storytellers. That night, a waterlogged stranger with his head bashed in stumbles into the bar carrying a drowned girl who lies as still as a porcelain doll. Unexplainably, this girl with no breath and no pulse returns to life in the care of an accomplished and fiercely independent nurse named Rita. This miraculous reanimation not only inspires the Swan’s raconteurs to put their own stamp on the evening’s events, but it also draws out three nearby families who stake claims to the girl. First is the wealthy, factory-owning Vaughans, whose own small daughter Amelia disappeared two years earlier, casting her mother into a dark depression. Next is a psychologically disturbed, physically abused 50-year-old parson’s housekeeper who calls herself Lily White. Lily believes the four-year-old girl is her drowned sister Ann, who has returned to her in dreams intermittently throughout her life, leaving telltale puddles on the floor. Third is Robert Armstrong, a prosperous biracial farmer and livestock owner who discovers after some investigation that the abandoned wife of his estranged and ne’er-do-well white stepson, Robin, drowned their daughter Alice in the river the day before the man brought the girl into the Swan. With the revived girl unable to speak or show any clear sign of recognition of her would-be claimants, she goes home with the Vaughans. Her “mother” rapturously welcomes her as a stolen child returned, while her “father” harbors deep doubts about the girl’s identity, which remains an open question to Lily, the Armstrongs, and all others concerned. These sad and unsettled intersecting stories and perplexing tales of the mysterious power of the river—including the legend of a ferryman who appears in a punt when bodies are cast adrift and either returns them to safety or conveys them to the “other side” if their time has come—engulf Once Upon a River in a swirl of captivating narratives. 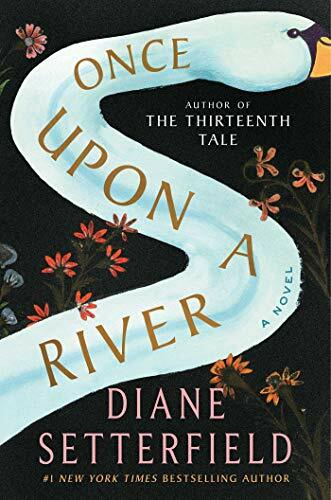 Like Setterfield’s earlier novel The Thirteenth Tale, Once Upon a River is very much a story about the spellbinding power of storytelling, and the stories troubled people tell themselves and each other to make sense of their lives or divert them in new directions. With its tributaries, “teasing . . . changes of direction,” and “unmappable journey,” the river serves both as metaphor and—as it rushes and floods and spares and takes lives—a terrifyingly real reminder of how much of human life lies beyond human control. Other ruminations on the nature and practice of storytelling, and what it means for a story’s narrators or auditors to, by dint of recounting or hearing, intrude upon the tale, provide Once Upon a River’s most thought-provoking moments. Resonant as such meditations are, Setterfield devotes relatively little time to them in a book that all but overflows with richly drawn characters, crackling action, intriguing twists, and compelling stories with their beginnings long shrouded in mystery. If anything, Once Upon a River is so crowded with engaging tales that Setterfield resolves some of them too quickly as the book rushes to its finish. That said, Once Upon a River remains a deeply satisfying read, and a strong foretaste of more enchanting stories to come from its remarkably gifted author.